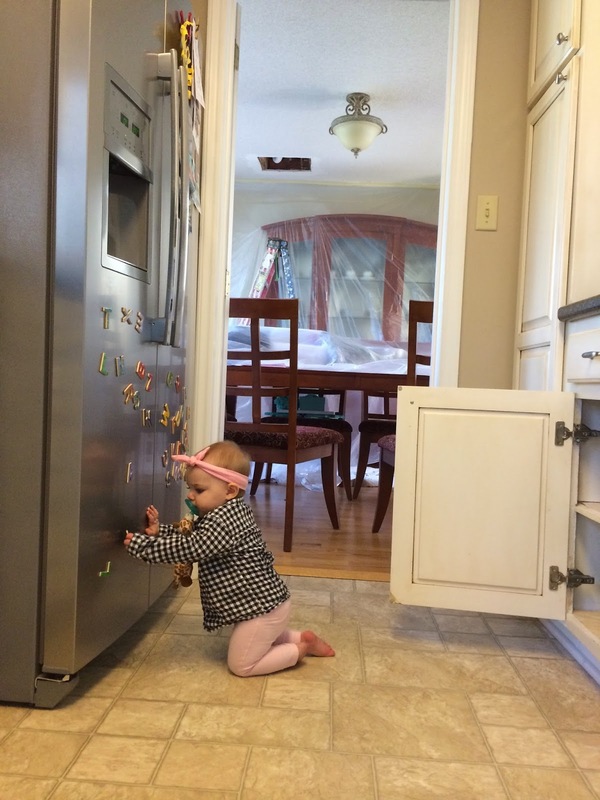 Since we had Ella's one year (AHHH tear!) photo shoot yesterday, she was apparently very sick of the camera today. The above was the best I could get! We had a very social week these past seven days! Since my return to work is coming wayyy too quickly, I am making an effort to get out and see everyone and everything we can in this last month! Monday we met up with Chelsea and Mackenzie for some Chipotle! Surprisingly, Ella only hit Mackenzie one time (bottom right) and actually tried to give her a hug/kiss (bottom left)! On Tuesday, we finally finally FINALLY had the hole in our dining room ceiling patched! Ella was very curious as to what the guy was doing, but I did my best to keep her distracted. 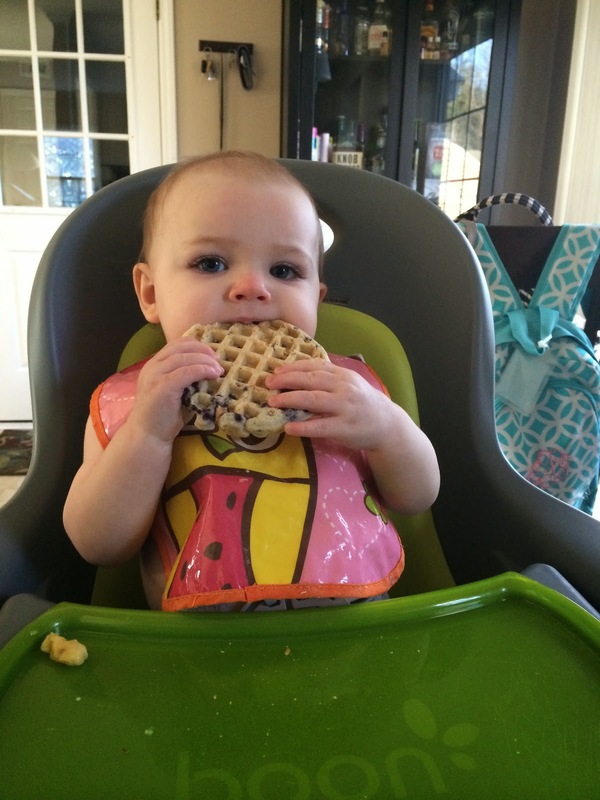 Thursday, Ella had her first waffle! She is a fan! And we met some of our friends at the Nature Museum! Everyone loved the chicken! And then we went out to lunch! 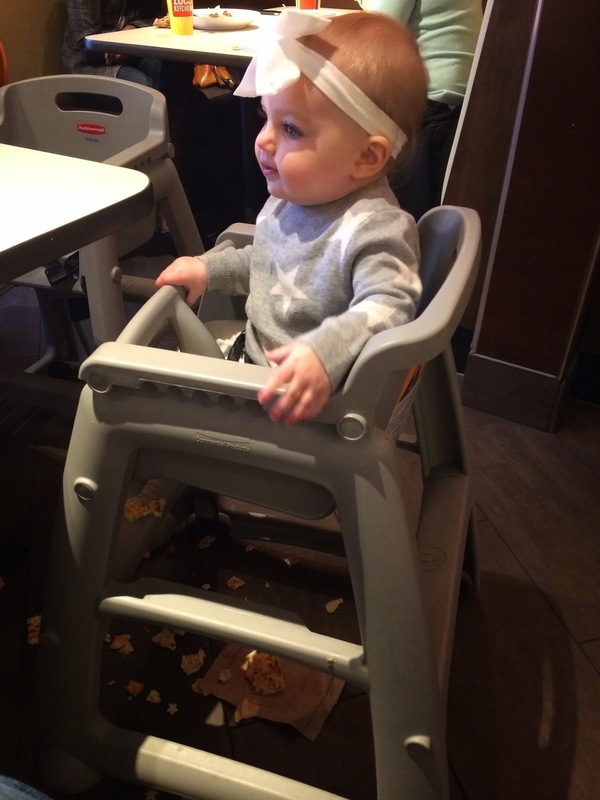 I had to take a picture of the mess Ella made with her quesadilla...everyone else's kids had maybe one or two pieces of food on the floor. Not my child. Sorry to the people at Zoe's. Friday, we had another lunch date (yep, that's 3 lunches out this week, and please don't bring this to my husband's attention! ), this time with Anni and her kids! 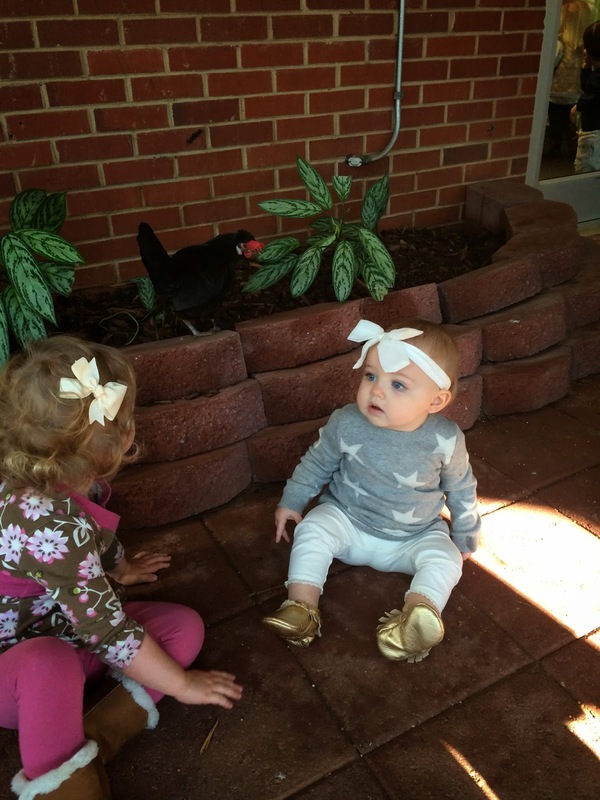 Ella and Shep were too cute on the playground! Another boyfriend, Ella?!? 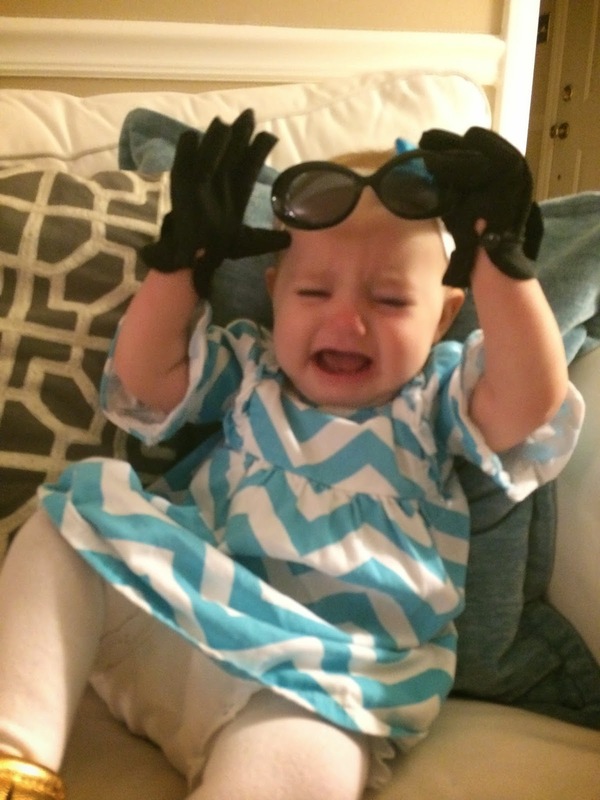 Apparently Ella HATES sunglasses now. Who knew?! 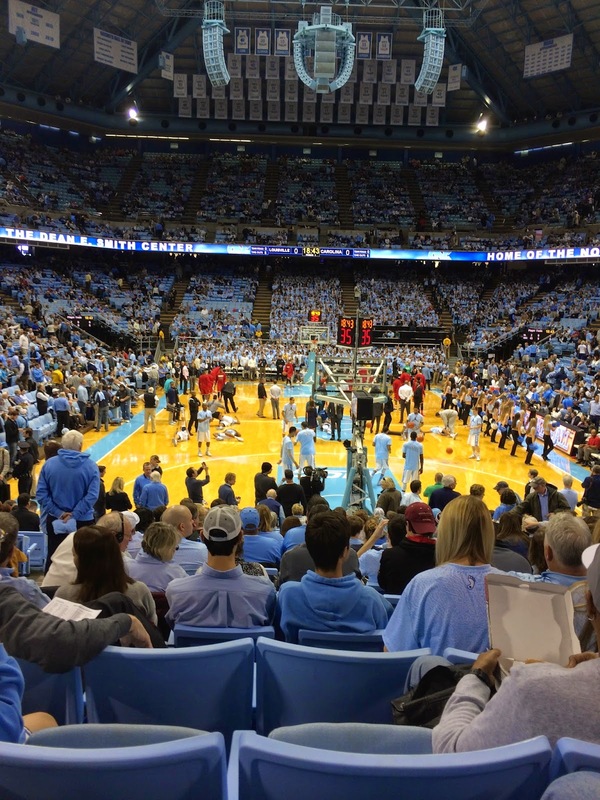 Saturday, we went to Chapel Hill for the UNC vs Louisville game! 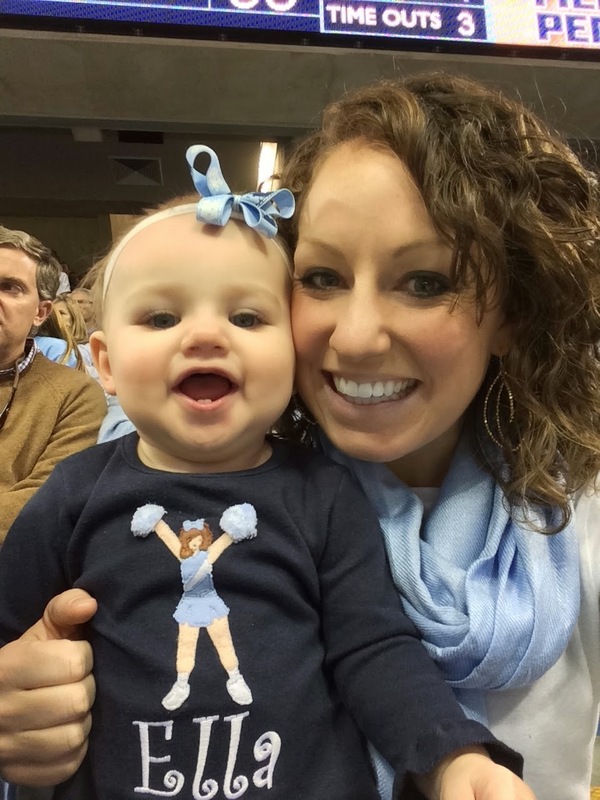 It was Ella's first trip to the Dean Dome (and only my second!) and our seats were fabulous! We were in about the 15th row behind the basket! 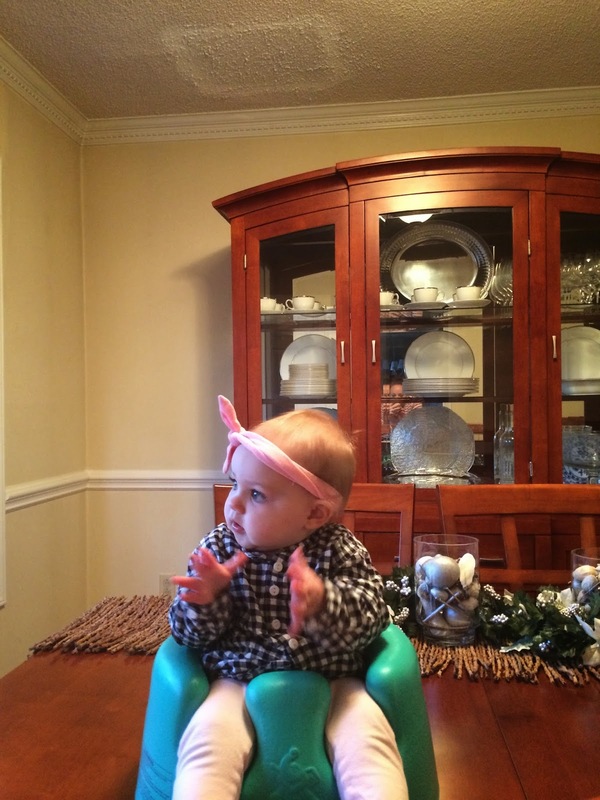 Ella was clapping and dancing...she even sang when the band played. What a fan! 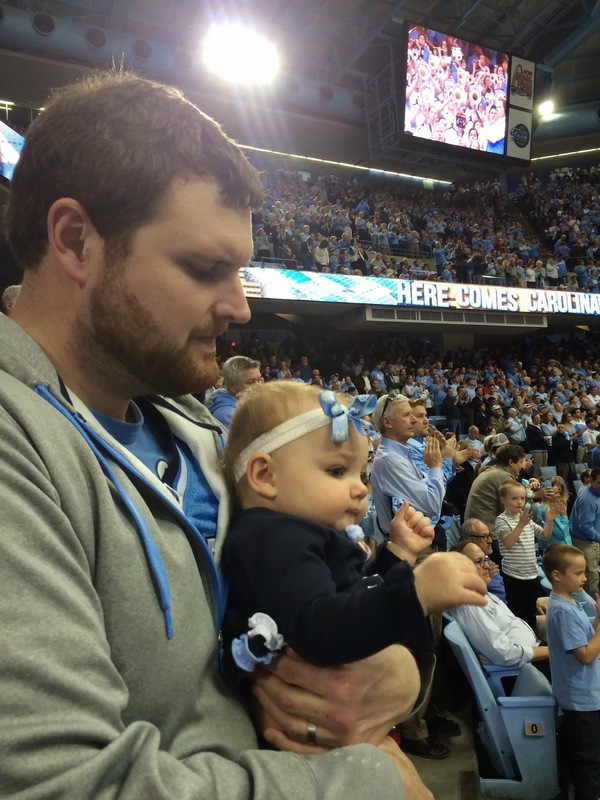 The best part was that Carolina WON! By only one point, and it came down to the final seconds...a great game for sure!! When we got home, it was time to make Ella's smash cake. UGHH. I will be ordering one from a bakery for her actual party!! Cake decorating is a lot harder than it looks, people. 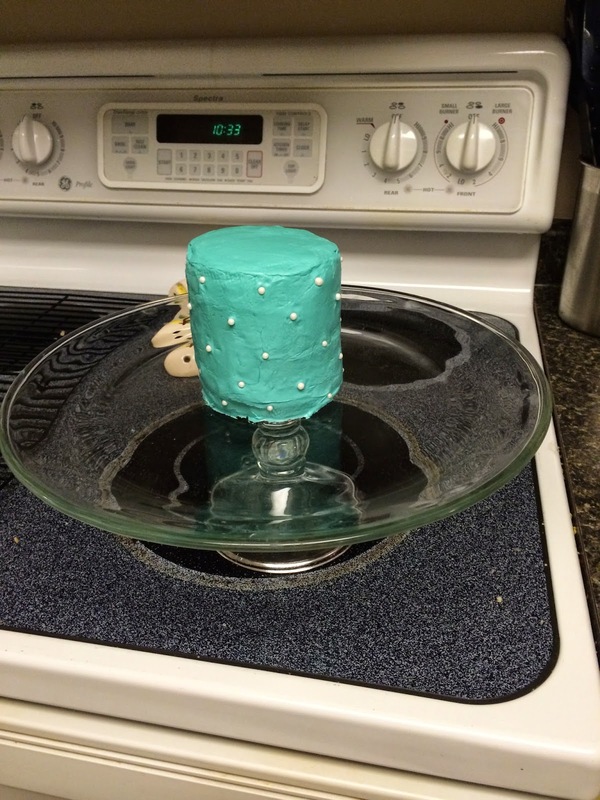 I wanted to use buttercream because I didn't think she would "smash" fondant as easily...and buttercream does not go on smoothly!!! What a hot mess....that I finished at 11PM. 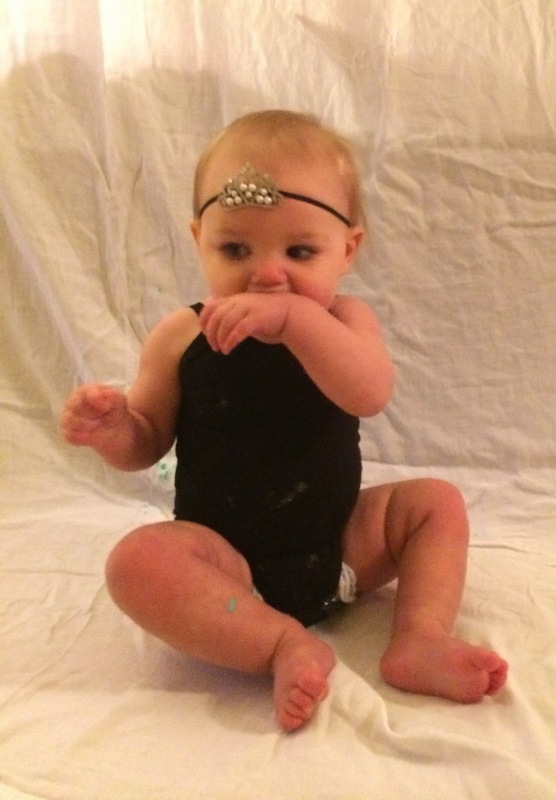 Yesterday was Ella's big photo shoot!!! We went to SouthPark Mall to take family pictures outside, and then of Ella in front of the Tiffany's store. She drew quite a crowd, and people were stopping to take pics of her on their phones! Such a ham. 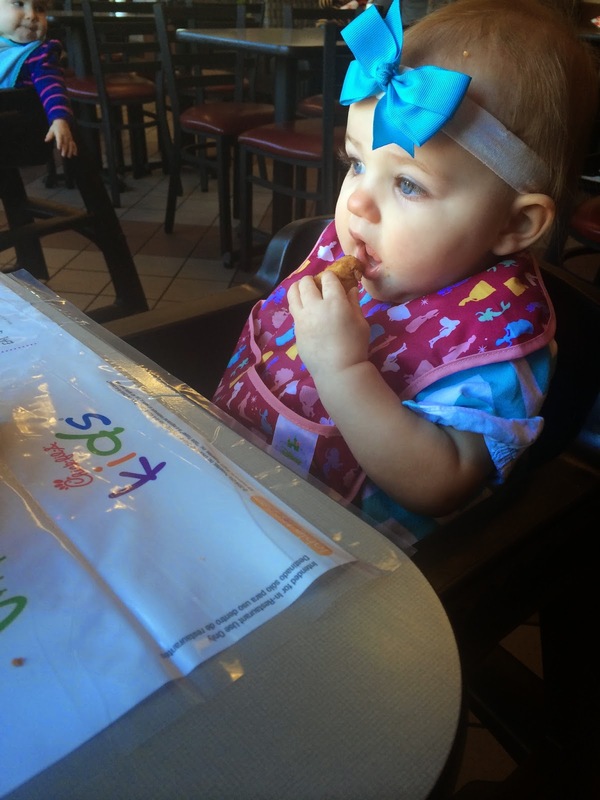 The good news is Ella likes cake. I can't wait to see the actual pictures...this is just a quick one I snapped on my phone after they were done! I will share as soon as I get them!!! Eeeek!! I can't believe it is already time for you to return to work. At least summer will be here before you know it. 1 year pictures!! I can't wait to see! Loved seeing you guys so much last week!